This run begins with a four-issue “Child’s Play” crossover with New Warriors. We tend to have a modern view of crossovers as disconnected plays for increased sales, but that wasn’t necessarily the case with this Fabian Nicieza’s story. That’s a lot of content in just four issues! It’s an indicator of just how much Nicieza was writing the teams as families at that point – their super-heroics (like a subsequent bash with Nimrod) were just window-dressing for personal drama (like Cannonball’s struggle with his seeming immortality). 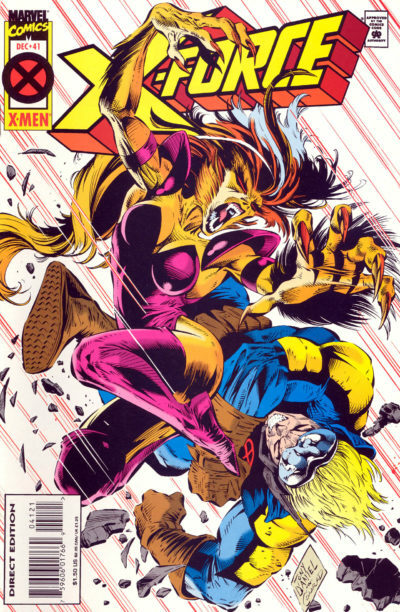 I have to say, reviewing these issues just made me fall more deeply in love with early-90s X-Men. There are so many rewarding character moments and nods to continuity tangled up in all the X-TREME gear and T&A from the female cast. If you grew up reading these comics, it’s hard to imagine aversion of theX-Men you could love even more. For that same reason, this content doesn’t make for a very exciting omnibus. While some of the X-Force stories stand on their own, every one of them continue a theme from the prior two omnibuses (as when the team tracks down a savage, mournful Feral in NYC, or when Warpath confronts his former teacher, White Queen). It’s very much the middle of an ongoing story. Unfortunately, it’s a story that ends in the middle. 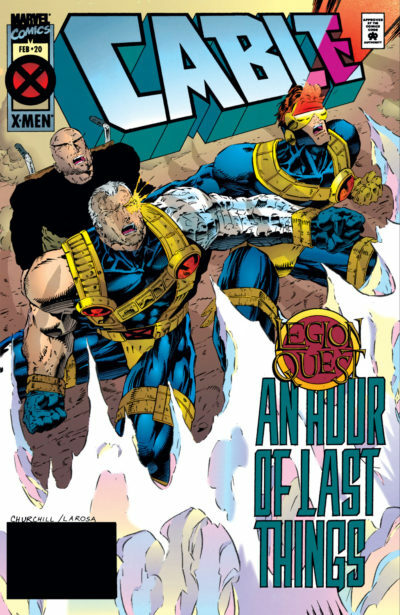 Nicieza drives the plot threads to a delirious high with a final confrontation with the Mutant Liberation Front, but the fight is cut off just after a stunning reveal due to the M’Kraan Crystal swallowing up reality as we know it to spit out The Age of Apocalypse. The next issue picks up with a new writer (Jeph Loeb) and the confrontation already resolved. Throughout it all, Cable is the team’s rudder, but we don’t get too much of his inner life or story aside from flirtations with the always-lucky Domino (described in #39 as “Mother Theresa by way of Ripley from the movie Aliens“). Adding the issues of his own title solves that, and gives this book some added dimension. 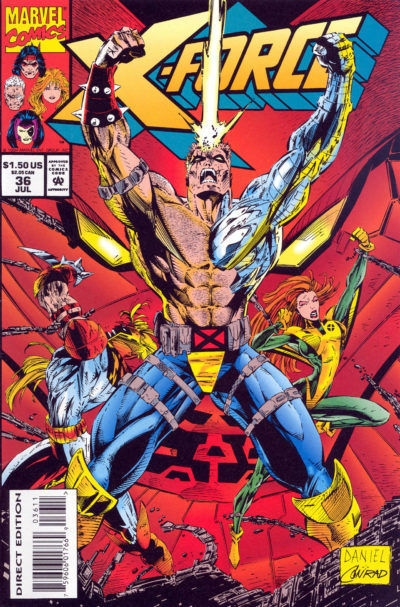 Cable was still a relatively new character at this point, so we get to see him through a lot of firsts – including his opening encounter with his time-crossed half-sister Rachel Summers and her Excalibur teammates as they team up with Magneto’s Acolytes to track Omega Red. The story is every bit as fun as it sounds, especially with penciller W. C. Wyman aping Andy Kubert’s style with panache. 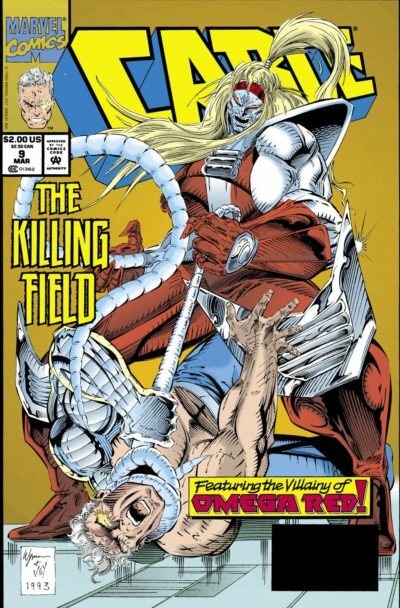 A follow-up plot with D’Spayre that reflects Cable’s status as the son of the Goblin Queen feels like filler amongst the other strong stories in these runs, but it continues the theme of Cable’s lineage into a series of stories that find him connecting with his father Cyclops after his true parentage was revealed during “X-Cutioner’s Song” (and after Cyclops’s wedding to Jean in X-Men #30) as well as tangling with his own time-traveling son, Tyler Dayspring. The Cable issues are a much stronger read divorced from the context of their preceding run than the X-Force issues, even if I took a lot more delight in reviewing X-Force. This run of Cable offers interesting context on the main beneath the guns and the techo-organic enhancements. Will we see this omnibus in 2018? Maybe. This is the obvious next X-Force omnibus and maybe the second most-obvious Cable omnibus after his 2008 volume. With Cable set to appear in Deadpool 2 in 2018, that could make this a lovely second alternate after the 2008 volume and a Deadpool & Cable reprint – especially since some key X-Force members may also be appearing in that film. Would I recommend buying it? Not unless you’ve already bought the X-Force, Vol. 1 and Deadpool & X-Force omnibuses. This material isn’t incredibly thrilling all on its own.